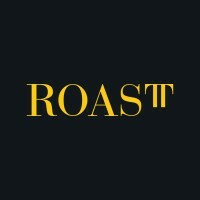 ROAST is a fiercely independent online performance agency, privately owned and launched in February 2015 by Oliver Bishop. Recruiting experts from the industry with decades of experience, ROAST was formed to provide a new breed of online performance. At the heart of everything we do is smart, informed digital, focused on delivering Return On Ad Spend for our clients. We use data at scale, utilise a range of sources providing 360 degree insights to create a comprehensive view of your market and your consumer. We then build out a dynamic consumer journey which informs intelligent targeting via channel execution and tailored messaging. As we run these campaigns and spark user journeys, we are constantly testing and measuring the impact to show the statistical effect of our work to drive action and conversion. Through strategy and planning, insight and data, technology platform selection or advanced digital optimisation techniques, ROAST has one aim; to make your brand perform better. Our offering isn’t diluted. We focus on what we know we do best; Online Performance. Our services include, SEO, Paid Media, Social, Content, Mobile, Display, Programmatic, Affiliates and CRO. ROAST is part of TIPi Group, an award-winning network of specialist digital agencies. Visit tipigroup.com to find out more.